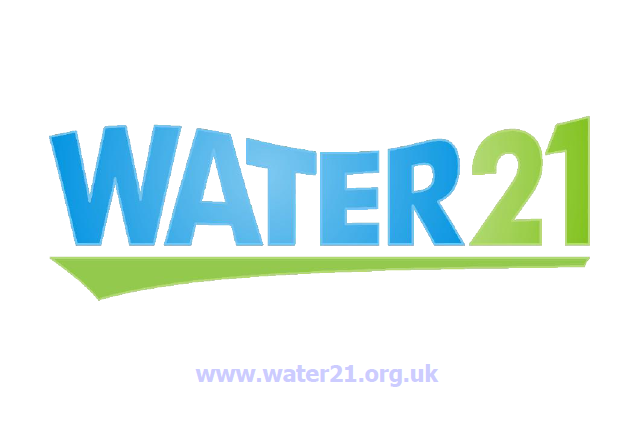 Below you will find links to Water21‘s informative slide presentations (pdfs). You can find our detailed reports here. 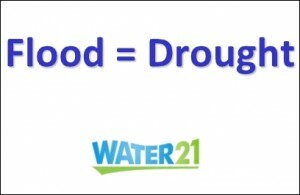 Climate change and its impacts can only be realistically resolved by acting on both the causes and effects. 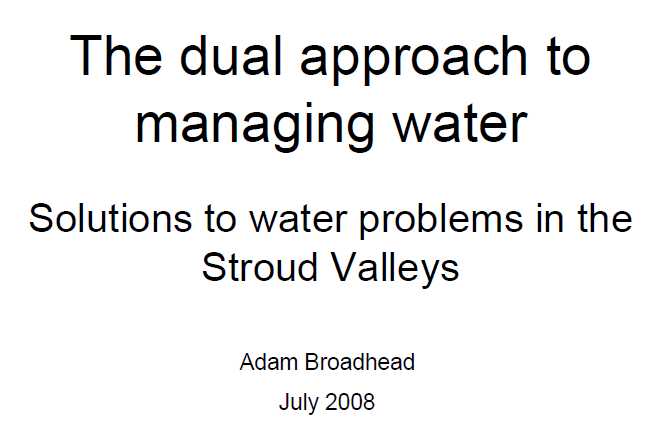 A holistic, community-based approach to water problems in the Stroud Valleys. 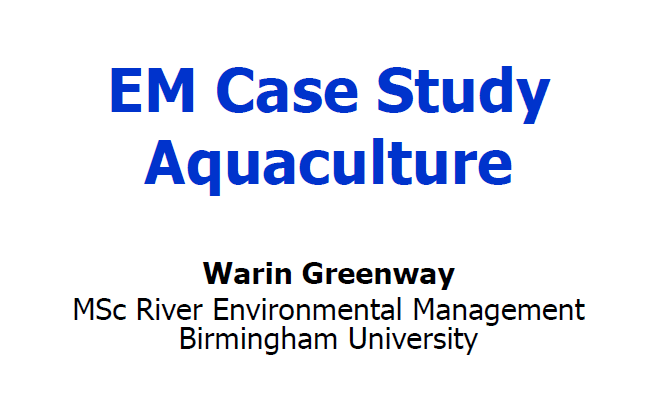 Developing a balanced catchment nutrient model. 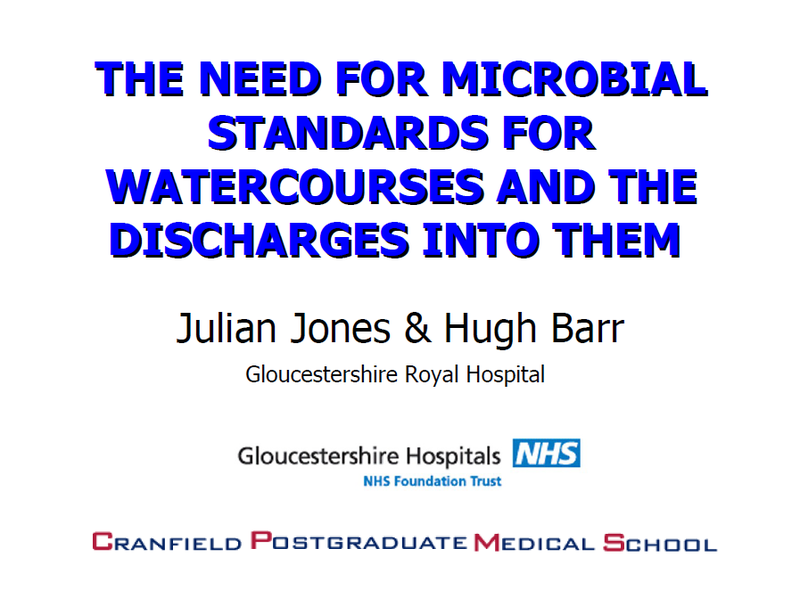 NOTE: This is not a stand-alone presentation. 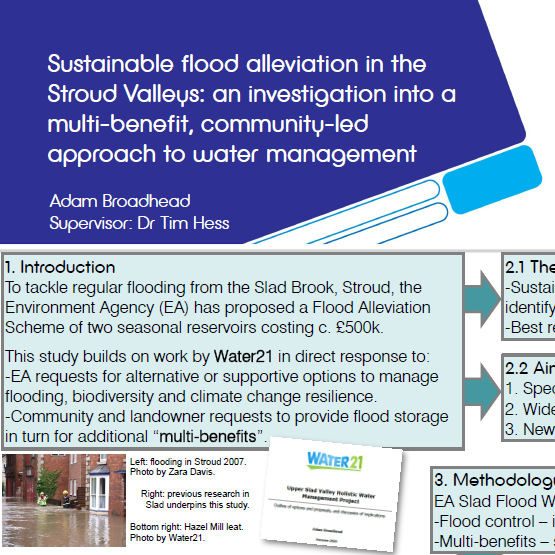 A poster outlining the multiple benefits of the community-led approach to water management. 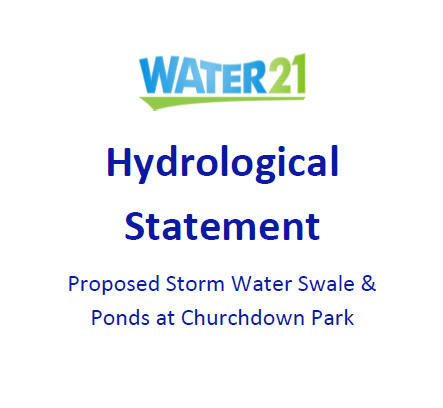 An estimated £300,000+ conventional flood drainage scheme, installed without landowner consultation or reference to local historic water management measures, squanders vital funds while making the original problem even worse. 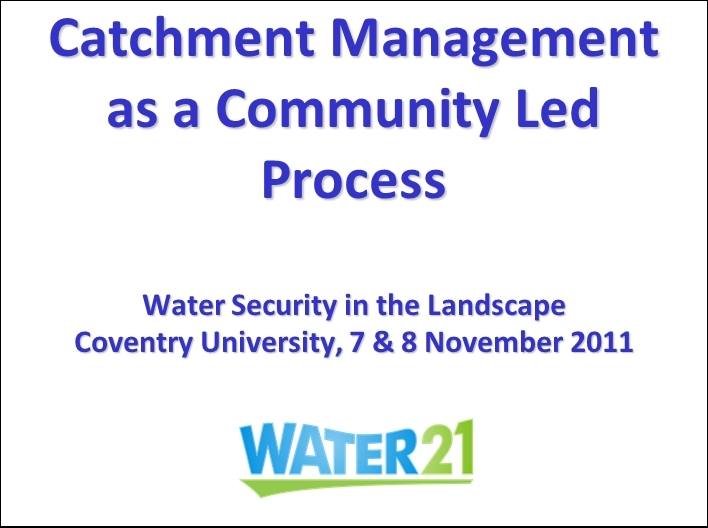 This 2015 BHA Annual Conference presentation by Water21 founder, Julian Jones, explains the catchment based advantages of hydropower as well as the broader environmental imperative. 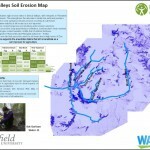 Water21 contributed to this presentation of a land and food based approach to help resolve Climate Change.